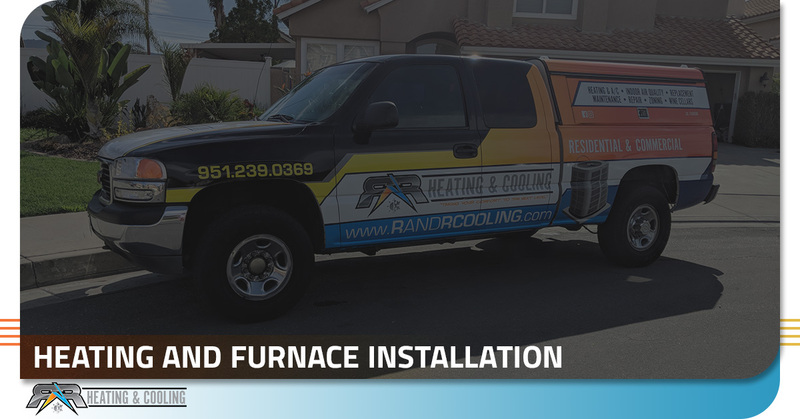 Southern California residents, we strive to bring you the best heating and furnace installation service available in the region! Need a new heating system or furnace installed? Don’t try to do it yourself; call the specialists at R&R Heating And Cooling to handle the job for you! We are committed to quality service and customer satisfaction. 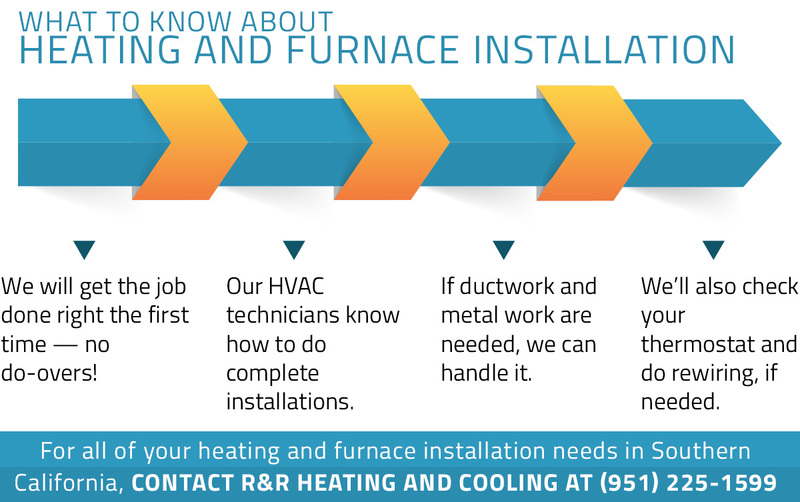 While there are many projects you can tackle on your own for your home, furnace installation is not one of them! No one wants to give their furnace company a “do-over” when they mess up the installation, which is why it’s essential for a furnace to be installed properly the first time. Our team has spent countless hours perfecting furnace installation and maintenance techniques, and it would be our pleasure to show you, through the quality of our work, why we are the superior choice! When you call R&R Heating and Cooling to replace your furnace, you can be certain that you will receive the utmost in professionalism and service. Of course, installing a new furnace is never as easy as taking the old one out and putting the new one in. Instead, this installation demands a certain set of skills, including ductwork and sheet metal work. If you have little to no experience with furnaces, you could end up installing things improperly or, even worse, injuring yourself. Plus, having the wrong equipment is a surefire way to mess up the entire process. Because installing a new furnace and heating system can be so complicated, we have knowledgeable, highly trained HVAC technicians who do this for a living! 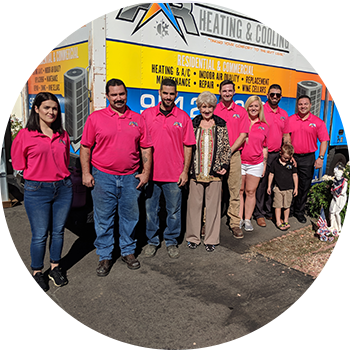 They have worked with all types of heating systems found here throughout Southern California, from the newest models to the old ones that came with your home that may date back to the 1950s. We know what to look for when installing a new HVAC system; you can be assured that our HVAC specialists won’t simply plop a new unit in without checking the rest of the heating system in your home. If you need a new thermostat, if any rewiring needs to be done, or if some ductwork is in order, our HVAC technicians are skilled enough to know what’s needed and how to get it done right. Keep your home and yourself safe by calling professional HVAC contractors to handle your heating, furnace, and air installation. At R&R Heating and Cooling, we have the experience, equipment, and knowledge needed to properly install your new furnace. By choosing a professional company to handle your installation, you also ensure that you get a warranty just in case something should go wrong. Having a warranty is great way to protect yourself in the event of any unforeseen challenges, and it’ll save you money both in the short term and in the long run. Reach out to us in Anaheim, Palm Springs, Temecula, and Irvine to schedule your appointment. We can handle all types of HVAC repair, maintenance, and installation jobs throughout Southern California. In addition, we are happy to fully explain the work we’re doing as well as how this approach will benefit you and your loved ones. Give us a call today!